Wed, Aug 8, 2018, 09:24 pm SL Time, ColomboPage News Desk, Sri Lanka. 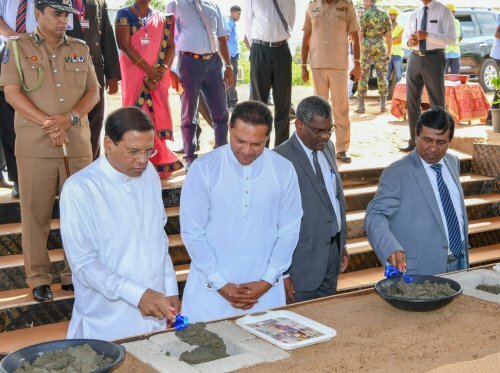 Aug 08, Colombo: The Sri Lankan government has allocated over 89 billion rupees implementing a project to provide building facilities for state universities in the country. 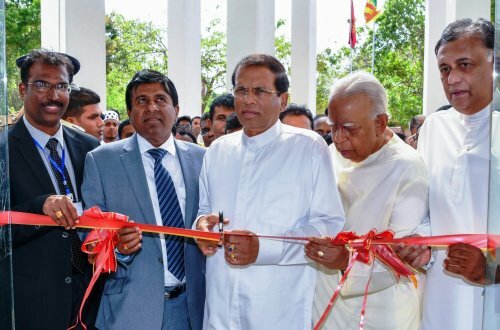 President Maithripala Sirisena on Monday (06) declared open the new building of the Applied Science Faculty of the Eastern University in Trincomalee constructed under the project at a cost of Rs. 410 million. 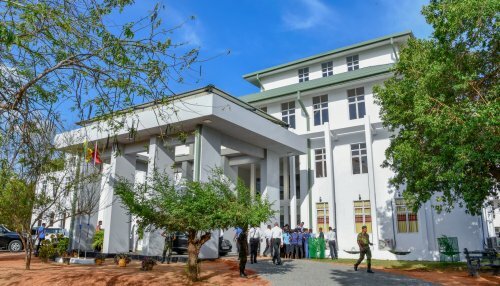 The construction work of this building was started in 2015 to ease the shortage of space for students at this university. The President also laid foundation for a fully-fledged auditorium at this Faculty as well. A sum of Rs. 784 million will be allocated for this project. The Ministry of Education implemented the project in 2015 covering all the universities and faculties in order to provide solutions to the lack of boarding facilities at state universities. The total of 162 buildings are proposed to be constructed within the university system under the project and constructions of some of those buildings are already in completion. The government has allocated Rs. 88.964 billion for the project and more than 86 percent of the funds has already been released. The funds have been allocated for constructing 84 boarding facilities for the Universities and affiliated faculties. A total of 33,600 students will be benefitted by them. The construction of 78 hostels has been completed. Opposition leader R. Sampanthan, Higher Education Minister Wijeyadasa Rajapakshe, Governor of Eastern Province Rohitha Bogollagama, MP Dayasiri Jayasekara, Chairman of the University Grant Commission Prof. Mohan De Silva, Vice Chancellor of Eastern University Dr. V. Kanagasinham and Deputy Vice Chancellor of the Eastern University Dr. Karunaratne also participated in the event.